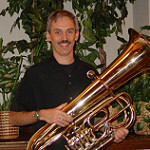 Has a prominent tuba part where I didn't expect one. Don Butterfield, Harvey Phillips, or someone else? Tormé was such a multi-talented musician. A guy I definitely try to hear more of when i can. When I lived out in L.A. as a teen I took lessons with Red. He was a fantastic teacher. He'd come out to the house, my mom would make a pot of coffee, then we'd hit the lesson, which sometimes would be 5 minutes or up to a couple of hours depending on the progress I was making. There are many, many things I learned from Red but the one thing that stood out was you've got to practice 6 to 8 hours a day, then you can go do a 4 hour gig. I do miss him.